Thank you Flavoury for the delivery of my first box of craft beers! 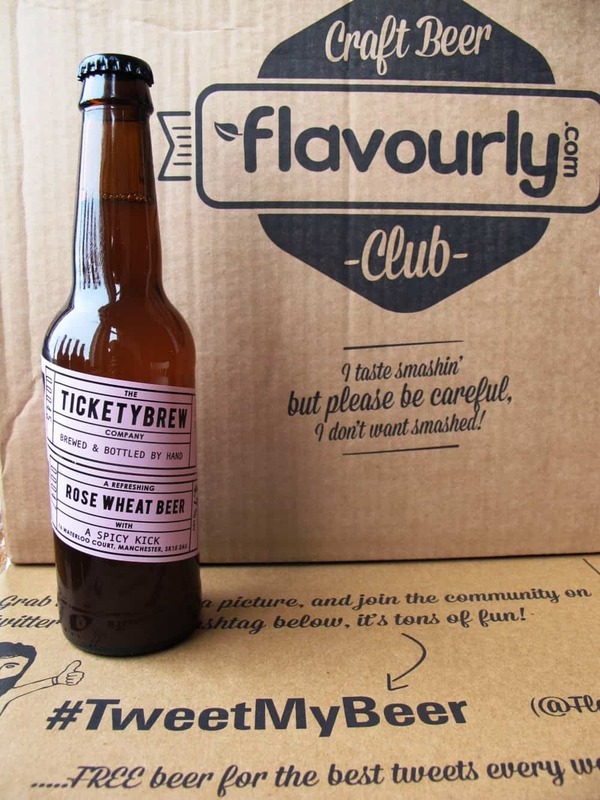 Flavourly is an Edinburgh-based craft beer club, delivering subscription boxes with beers from independent producers across the UK – a great way for beer lovers to discover new tastes and flavours. The box of beers comes with a welcome message, a map to ‘meet the brewers’, a detailed introduction to the brewers and a selection of gourmet snacks. The beers are thoughtfully selected and you can choose from boxes of light, dark or mixed beers. My mixed beer selection included a golden ale, amber ale, brown ale, black IPA and wheat beer from producers based all over the UK, from Cornwall to St. Andrews. 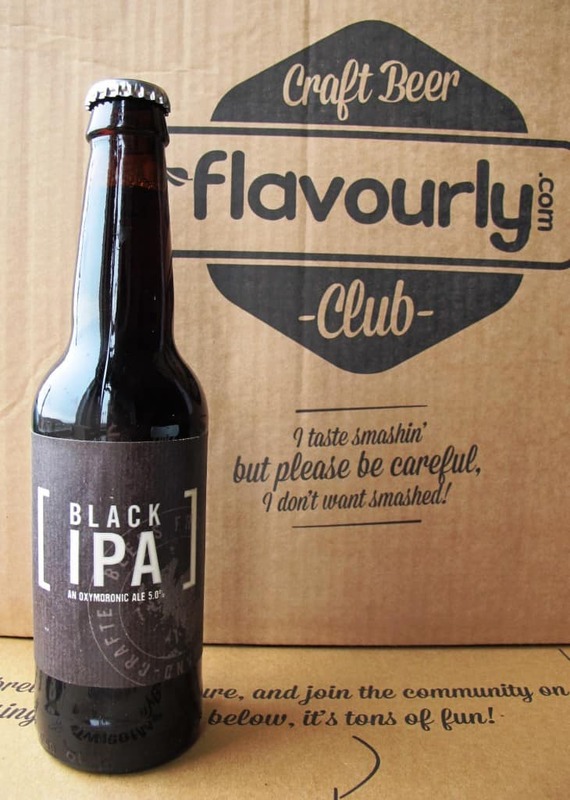 Get the Flavourly voucher code to take £5.03 off your first craft beer box. Offer expires 31st December 2017. Click here for this offer (the voucher code will be applied automatically). Get the Flavourly voucher code to take 5% off gifts at Flavourly. Offer expires 31st December 2017. My interest in beer is not so much in drinking it but in baking with it. 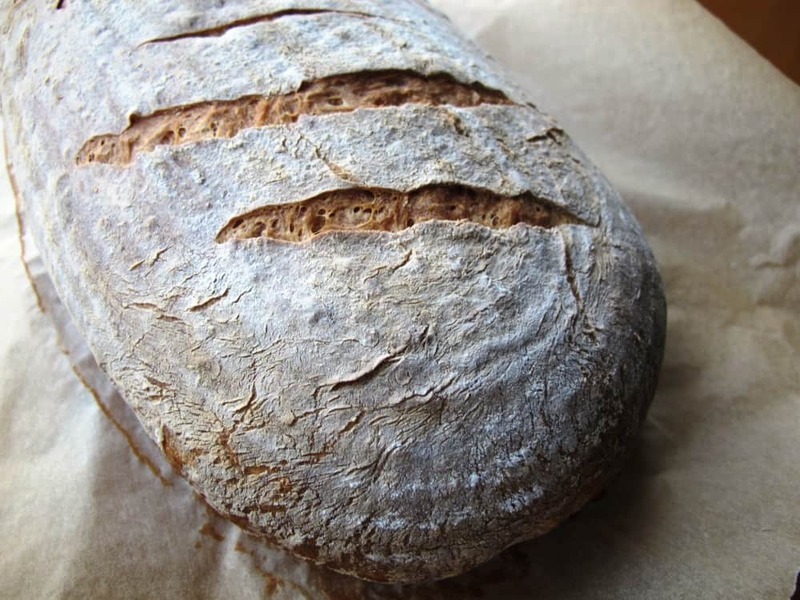 The connection between beer production and bread is long-standing as bakers used to get their yeast from the beer fermentation process. Such brewer’s yeast was developed in the 15th century and was used for the production of bread until the 19th century. Compared to water, the amazing variety of beer flavours provides bakers with an interesting alternative liquid ingredient for bread dough. Craft beers and real ales are of course a much less economic way of adding liquid into your bread and one could argue that they are better used for drinking than baking. However, there are some interesting breads to be achieved with beer and here are two beer bread recipes I’ve tried and tested. 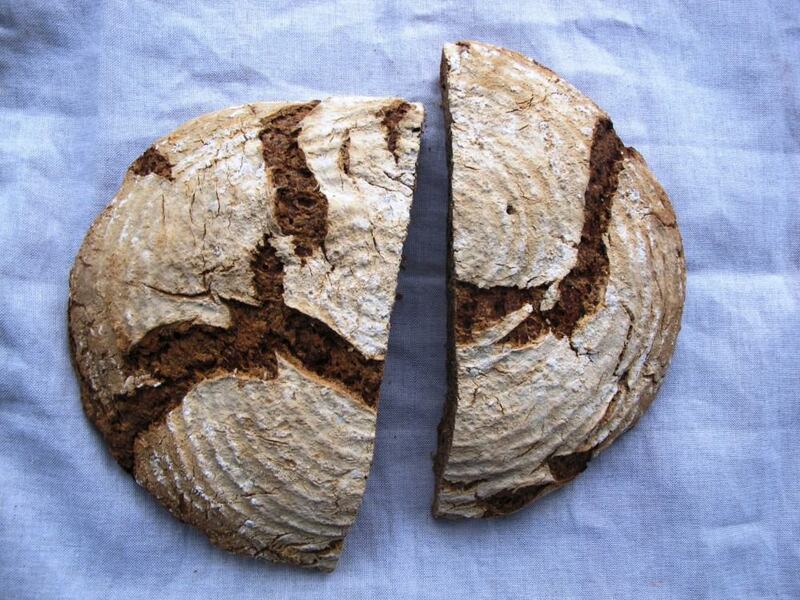 This pure sourdough dark beer bread is a compact and strong bread with a thick crust. This dark beer bread (made with ale) goes well with ham, cold cuts of meat and cheeses. Some of the water that goes into the bread dough is replaced with dark beer. The bread’s flavour varies dramatically dependent on the beer used, it can taste of malt and of hops to varying degrees. I’ve also baked this beer bread with just dark beer (no water), but for me, the taste was too strong. Combine all ingredients in a medium bowl, mix well and cover with a lid. Keep at room temperature to ferment for 16 – 24 hours. Slowly simmer the barley grains in the water until the liquid has boiled off. Combine the grains with the ale in a small bowl, cover and keep at room temperature for 16 – 24 hours to soak. 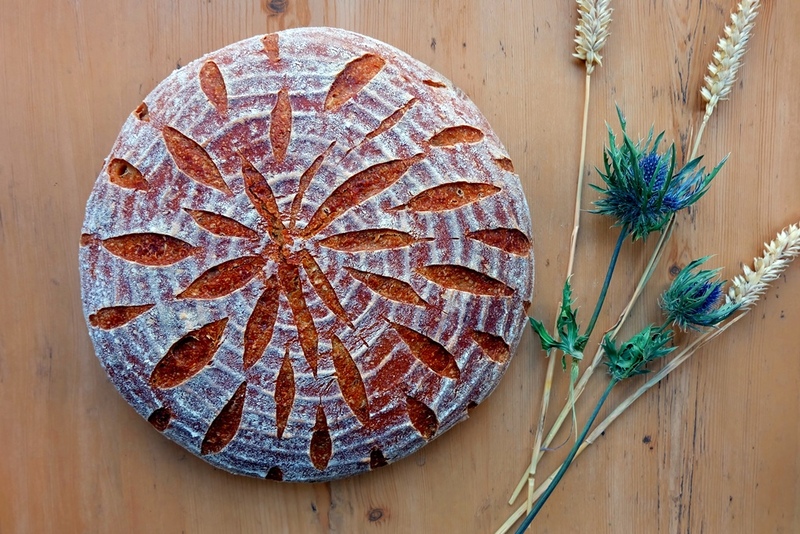 Combine the sourdough, barley soaker and final dough ingredients and knead for 10 – 15 minutes. Place the dough in a large bowl and cover with a lid. Keep for approximately 3 – 5 hours until visibly risen. Depending on the temperature in your room, this process could take longer if colder. Turn out the dough onto a lightly floured surface. Shape into a round and place into a well floured proofing basket. Proof for a further 3 – 5 hours until well risen and fully proofed. Again, the length of the proofing process can vary widely depending on the temperature in your room. Turn out the dough onto a baking tray lined with baking paper. Bake at 250°C for 10 minutes then at 210°C for a further 40 minutes. I discovered this method of beer bread making in Dan Lepard’s book The Handmade Loaf. The original method of making yeast bread in Britain was a by-product of ale-making. When traditional ale is made, a yeasty froth appears on top of the fermenting liquid. This used to be scooped off, washed and added to bread dough in order to leaven it. The leavening yeast used to be called ‘barm’. Barm-based baking is a method of leavening bread, not to be confused with sourdough-based baking. 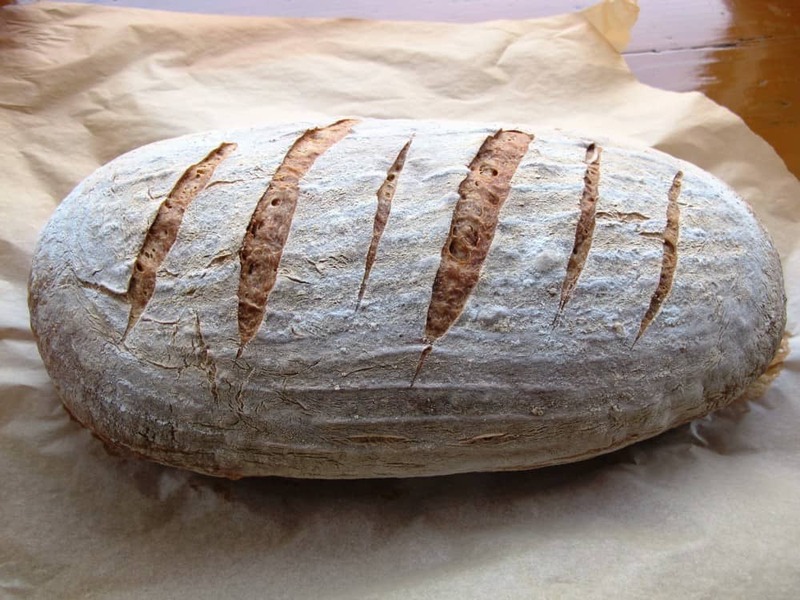 Barm bread is sweeter than sourdough leavened bread as it lacks the sourness created by the acidification typical of lactobacillus. Barm is a fermenting brewing liquor, the liquid yeast sediment left over from making beer. According to Dan Lepard, you can make a barm sponge by heating bottle-conditioned ale (250g) to 70°C and whisking in wheat flour (50g). Dan Lepard explains that this is a perfect replication of the complex barm of old. The barm (a shiny, smooth paste) smells amazing. Dan Lepard adds leaven to the bread whereas I have not used this in the beer and flour barm – in order not to mix together two different yeast cultures. I left the mixture to ferment for 24 hours. In a large bowl, mix the barm with water (250g), wheat flour (500g) and salt (7g). Knead for a minimum of 10 minutes until you have a smooth, elastic dough. Place the dough back in the bowl, cover with a lid and leave to rise for a few hours until significantly expanded in size. Punch down the dough and shape into a boule. Work with flour to prevent the dough from sticking, but make sure you only use flour on the outside of the dough, without working it in. Place the dough seam-side-up into a floured proofing basket. Cover with a polythene bag and keep at room temperature for its second proof until fully risen and fully proved. Preheat the oven to 220°C, turn out the loaf onto a baking tray lined with baking paper and bake for approximately 50 minutes. Cool on a wire rack. The beer I used here was Rose Wheat Beer from a brewery called Ticketybrew. A real ale (with live yeasts) is needed for this process, so look for a bottle-conditioned ale when you attempt this recipe.